This is my friend Janna Bowman. She is a wicked cool artist and I wanted to share some of her work with you. She makes the most amazing things out of glass and she's one of my childhood friends. 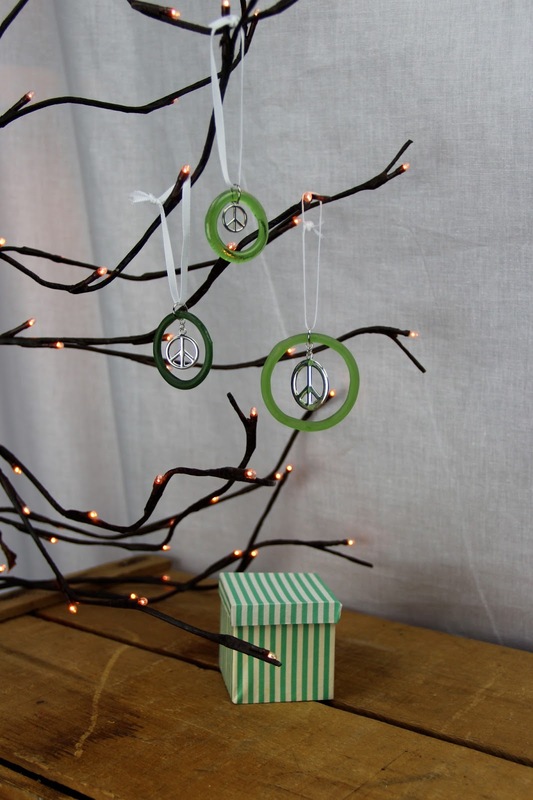 How cool are these peace pendants? I'm telling you the girl has skills! 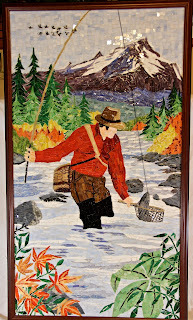 She does the most fantastic mosaics! 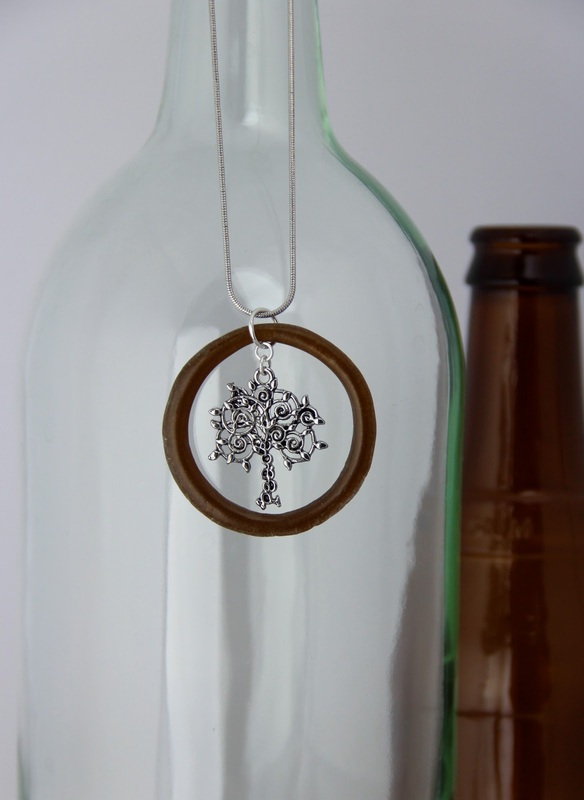 She is going to give away this beautiful necklace to one lucky commenter. & hop back and leave a comment here. I'll announce the winner on March 7th. Don't you love it when you can share a friend's talents with other friends? Those are beautiful - she's very talented indeed! Love it, ill hop on over! She is so talented! I had no idea! The mosaics appealed to me most. I love her mosaics, especially the Mosaiced Mandala. Oh wow!! These are so pretty!! Awwww!! Hi Sharon .. how talented - I'd love to be creative, but I do admire others' works .. and Janna certainly has lots of talent - apart from being able to hold up a "big bike"!!! She's so talented. What a good friend you are! Wow! Janna is so talented. I always admire artists. Thanks for sharing her work. She really makes some beautiful things! I love the Vintage Valentine collection especially the bear one. Good Luck to her with her business ! You're right. Janna Bowman is very very talented. 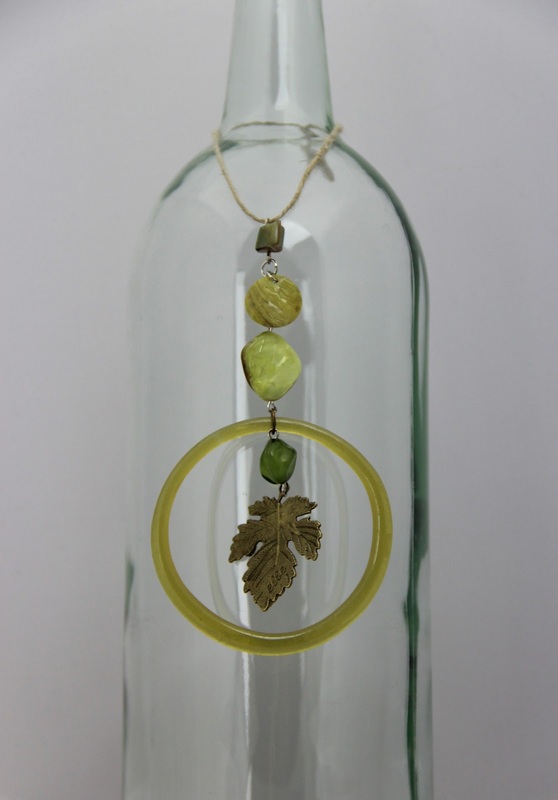 I particularly like the recycled wine bottle necklace. Gorgeous! wow! for sure miss janna is a fantastical artist. i went at her site and its got soooo much neat stuff. 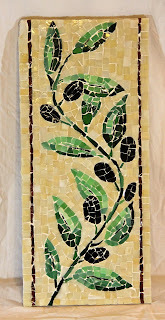 i love that fused glass jewelry and the mosaics and stain glass stuff. its neat she uses recycled wood. and...for sure shes just way extra cool cause she rides a harley!!! wow! how cool is that. Oh my word! Those are beautiful. I dabble in mosaics a little, but she is way, way good. And I love the necklaces--she is to my taste--all nature themed. 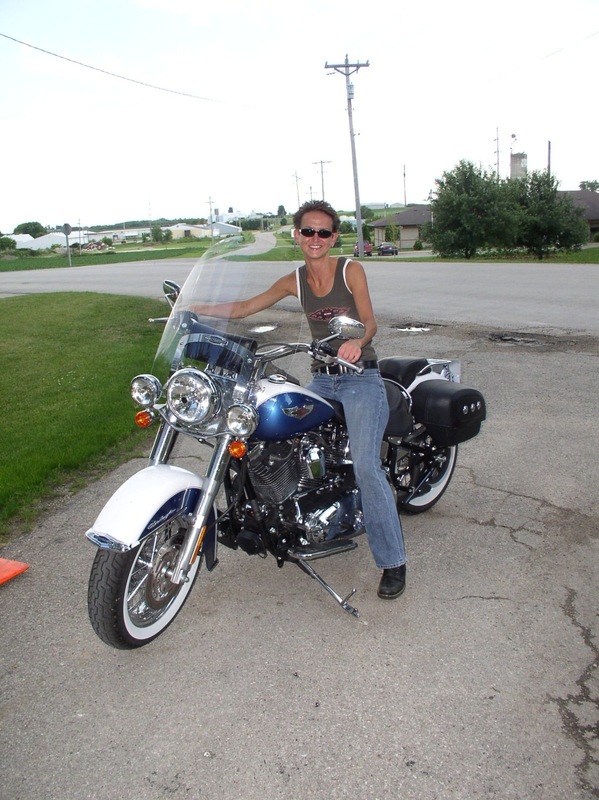 Thanks for sharing her, Sharon! And thanks for your great art, Janna! I so appreciate all of your wonderful comments! I love to create, it is a constant process... I cannot turn it off. So to hear positive feedback validates who I am! Thank you so much! oh my! what beautiful pieces! I love that she's on a motorcycle, too. Thanks for introducing us to her! Wow, I love that silver tree most of all! I would love to have talent like this! Her work is stunning and I wish her all the best with her etsy shop! This is beautiful and you are such a good friend ... always so supportive of others. It is one of your many gifts. Oh my goodness, how beautiful! I dream about having that kind of talent. But I can't draw a stick figure without having to label it. Sniff. What can I say? Artists are awesome...unless they're mean, in which case they're not as awesome...but since she's YOUR friend, I know she's terribly nice, and what a great talent! Janna is so talented. Her pieces are beautiful and unique. 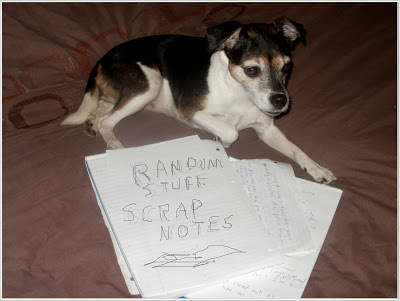 She has a cool site. I'll add some of her pieces to my Pinterest board tonight. Not sure how to pin with my iPad mini, which is what I use to sneak in a comment once or twice a day while caring for the little rascal. He keeps me hppin'. Not much time for social media! I think Janna will get lots of business if her pieces are on Pinterest. Take care, Sharon. I heart you. Thanks for critting for me. Sending you an email. Outstanding!!! I LOVE the tree necklace the best--so lovely. Thanks for sharing Janna's talents with us! Gosh! Your friend does very beautiful work. Talent indeed! Wow! I love that first necklace. Such talent. Amazing! Just hopped over to Janna s site. Does she make candles? I loved the one I saw. Sharon....this has been so great! I love all of the great feedback and wonderful comments! I have been so distracted with all of the SNOW and struggling all day trying to get mail delivered!!! It is really nice to hear kind words.....really a boost! Thank you so much everyone!